In all honesty, I’m actually hesitant about the prospect of living there (though I fell in love with its scenery and the beauty of the surrounding islets), but this move also has to do with our financial stability. We feel that we can have more savings living in an island compared to living in a sub-urban area. Also, we have the peace of mind going to trips and travels knowing that our valuables are in a safe place. I write about our moving plan to give a detailed picture on how hectic our schedule would be a few months from now. Thus between our preparations to move and settle down in an island (this time), we’ll also be inserting in our schedule the remaining travel plans we have for the rest of 2013. 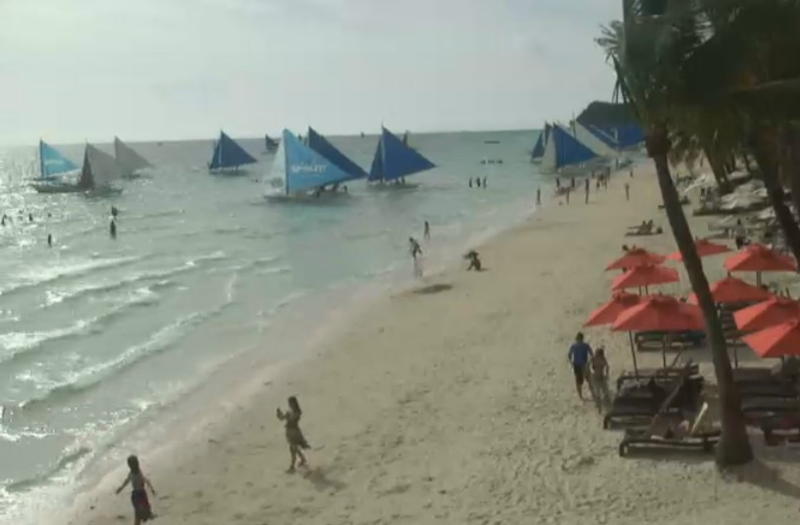 Screenshot photo from Boracay Live Cam – August 15, 2013 – That’s White Beach! Definitely my first time going there!!! I’m sooo bloody excited that I booked our flight and hotel last June. We’ll go there during those dates to celebrate my mother’s birthday. Mama will be turning 48 this September and it’s really my long-time plan to bring her to a relaxing vacation because she’s so overworked “nannying” her grand kids plus all the “bone-breaking” work at home. I really can’t imagine my mother’s hard-work all these years. I intend to bring papa as well but he refused because there’s no one around to check on my younger sister and her kids (her husband is currently away due to work). Frugal Tips in Booking a Flight to Boracay – I booked two one-way flights. Booking a round-trip flight would cost you more especially if your flight destination is to Bora. Luckily, I managed to grab four seats that were on sale. The base fare is Php399 (per head). (: In our flight back to Cebu, I booked the Kalibo to Cebu flight to avoid the very costly Caticlan to Cebu fare. Take note that the Kalibo to Cebu fare is not on sale but it only costs Php588 (excluding all kinds of taxes and fees that would make your head spin). 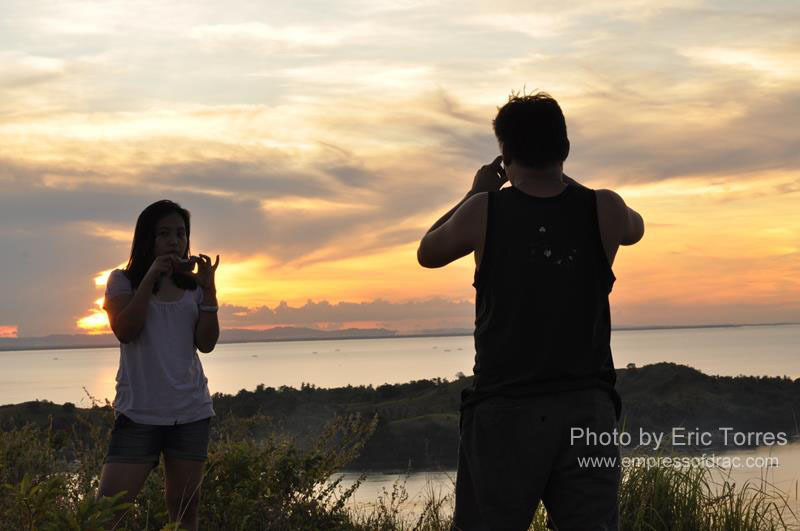 Frugal Tips in Going to Bacolod – If you are base near Toledo City, the best frugal way to go there is via ferry. The fare is only Php200 plus. If you are from Cebu City, you have the option to travel by ocean jet or via airplane. Go for airplane if there’s a seat sale but the ocean jets are advisable if you’re on budget. 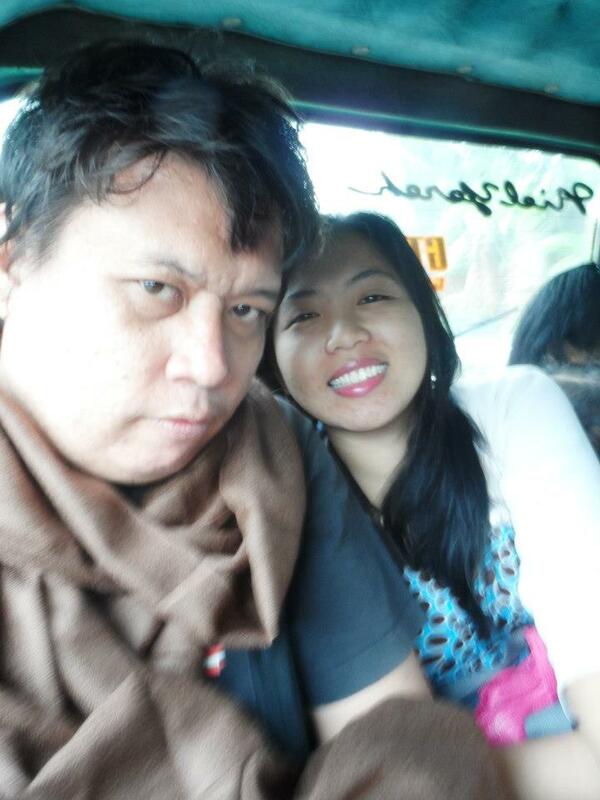 This is a big year-ender for our 2013 travels. I just got my passport earlier this month (after almost a year of processing!!). I’ve chosen those dates because December 5 will be dude’s (my partner) birthday. We’ve been planning for years to travel abroad together and 2013 is our lucky year. 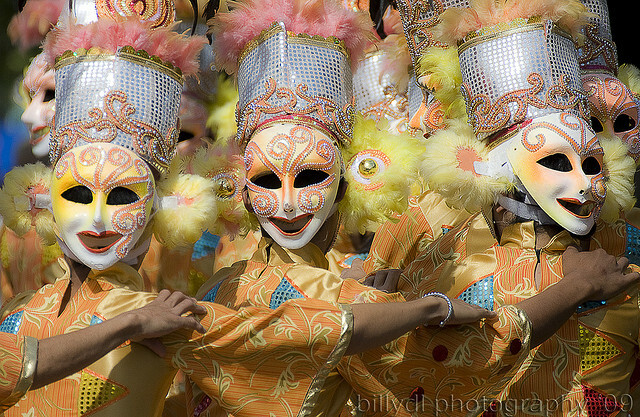 I feel so lucky (again) because I managed to book a one-way flight (Cebu – SG) when Cebu Pacific had a promo. The base fare is Php1, 499. Usually the base fare (if there’s no promo) is around Php4,000 plus. I booked a separate flight for SG – Cebu and got a promo fare but it’s quite expensive compared to the latter since it’s priced in Singaporean dollars. The total cost of the flight including all the taxes and add-on fees (back and forth) is Php7, 700 plus per head. That’s Php4,000 plus cheaper compared to regular airfare and a round-trip flight. Frugal Trips in Booking a Flight to Singapore – Never book a round-trip flight unless the airline company announced that they have a round-trip promo which very rarely happens. Book two separate one-way flights to avoid paying more. Praying and hoping for good weather during these scheduled trips. I’m so happy that I’m slowly realizing my dreams to travel this year. 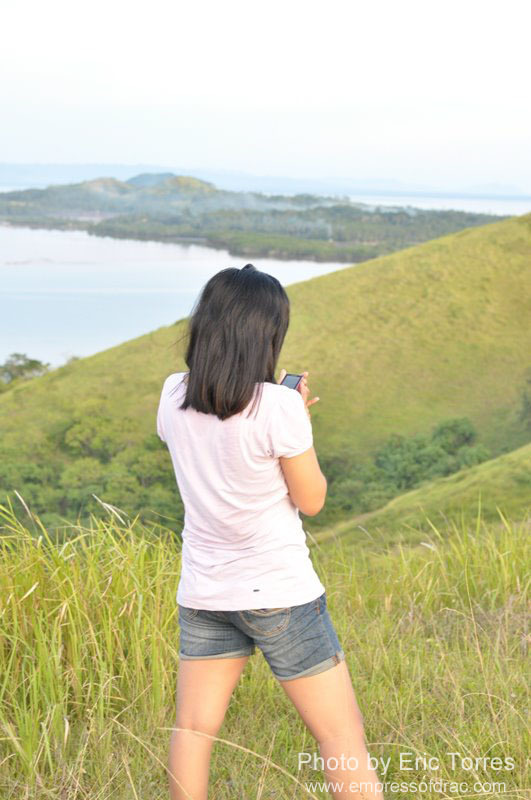 I’m looking forward for more trips next year. Hi Agnes, I have been dreaming of such a life since long. But like you said my job keeps me stay at one place. Even then I feel happy reading your posts. And let me tell you, I love Singapore, have been planning to go there lately. Maybe I will make it somewhere in the next year, just keeping my fingers crossed. Hello Agnes, Traveling is a fun. Before traveling how is excitement. I want to visit good places of every country. But it is not possible for me because lack of money and my job keeps me stay at one place. Great article on travelling. Marg, travel is expensive. but not as much as you think. Tim Ferris – Four hour work week book. Tim gives you some insight for travelling for less money. Great places to travel, Thank you for sharing your interesting blog.